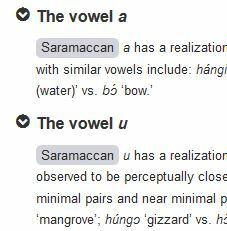 Screenshot from Enhanced Electronic Grammars. Enhanced Electronic Grammars (EEG) features comprehensive descriptions of languages from around the world. 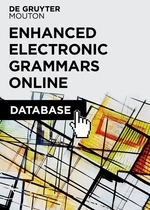 Through this unique online resource, full grammars are made available together in an interlinked and semantically-annotated format, allowing granular access to the grammatical data and enabling cross-language research of several grammars at the same time. In addition to cross-linguistic queries, each grammar can also be read and researched individually. EEG is updated bi-annually, integrating several new grammar publications each year for even more extensive cross-linguistic research. Kolyma Yukaghir, Lao, Madurese, Mani, Mapuche, Mian, Mongsen Ao, Neverver, Qiang, Saramaccan Creole, Savosavo, Siraya, Teiwa, Toqabaqita, Vaeakau-Taumako (+ Alto Perené, Daakaka, Kulina, Lavukaleve, Mina, Tommo So by the end of 2017). Via our E-resources trials page. … will be most welcome!